Trump Names 2020 Campaign Manager [VIDEO] - Joe.My.God. President Donald Trump will announce that he is running for re-election, and already has chosen a campaign manager, a new report said Tuesday. The Drudge Report in a blaring announcement on Tuesday morning said that Trump will tap “digital guru Brad Parscale” to run his campaign to win the 2020 election. 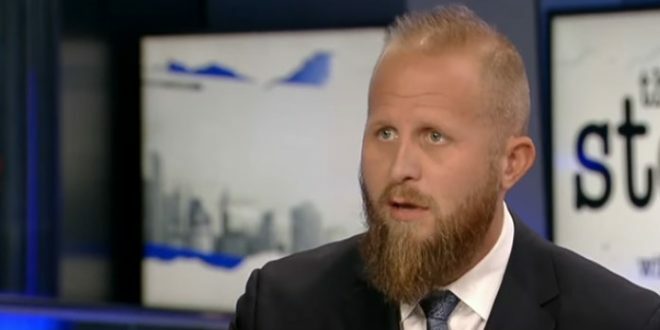 Parscale was digital director of Trump’s successful campaign for the White House in 2016. An October 2017 story about Parscale by “60 Minutes” about Parscale called him that campaign’s “secret weapon” for his sophisticated use of digital ads on Facebook to promote Trump’s candidacy. But the decision to leak the news to Drudge and to formally announce a campaign suggests the White House wants to rally Trump’s base at a time when Republicans are facing difficult prospects in the fall midterm elections, and when Trump himself is dealing with a series of news stories related to special counsel Robert Mueller’s investigation into Russia. The Trump campaign has paid Brad Parscale’s firms more than $93 million since 2015 for digital consulting + advertising, FEC records show. The #FakeNews media continues to lie about the “Hoax”. * The hoax is the Democrats want you to believe the Russians had real influence over the election.